Stress Urinary Incontinence (SUI) and genital prolapse are the most significant consequences of childbirth and occur because of changes to the pelvic floor and muscles. The increase in bladder leaks during pregnancy is common, and vaginal deliveries have a high rate of postpartum SUI because of their impact on the pelvic floor. 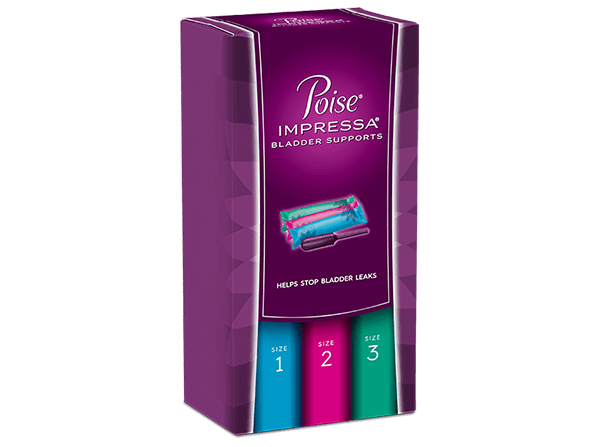 Poise® Impressa® Bladder Supports can be a great help for these changes because they help prevent leaks by gently lifting and supporting the urethra (the passage that allows urine to leave the bladder) to help stop urine from coming out. Because of this design, Impressa® typically will not increase postpartum leaks or leaks caused by other factors such as obesity, ethnicity, or multiple vaginal deliveries. It's a good idea to visit your health care provider if your bladder leaks seem to be getting more severe.